Manufacturers - Hayward Distributing Co.
Below is a list of Hayward Distributing's product lines. For more information on each product, see the website of the manufacturer. If you are interested in purchasing a product, choose "Find a Dealer" to access retailers in your area. If you are interested in becoming a Hayward retail partner for one or more of our product lines, please complete the "Become a Dealer" form on the "Dealers" tab of this website, and a Hayward representative will be in contact with your shortly. Elvex Safety Products, Dranzit oil drain tubes, Sendec hour meter and tachometers, and Rope Ratchet straps are some of the quality aftermarket lines that we carry. BigDog Mowers® are top-of-the-line residential and commercial riding lawn mowers from Excel Industries. Their mowers are built with fabricated decks and backed by the same quality, technology and customer service that have made Excel a leader in the industry. For power, superior cut quality, and dependability, bring home a BigDog today. A variety of high performance zero-turn riding mowers and gear-drive walk behind mowers. BOB-CAT® mowers are proven in performance and reliability. Brown manufactures the most durable, versatile, and dependable trenchers, bededgers, redefiners, and brushcutters in the industry. Brown products are know to be built to last. For more than 50 years, the Carlton brand has been known for high-quality forestry products that offer both performance and durability. Designed and engineered in Colorado, the Dirty Hand Tools brand of log splitters are designed to make tough jobs easier. They are committed to bringing the best quality and most affordable products possible to the retail market. Available models include the 5-Ton Electric, 22-Ton, 27-Ton, 28-Ton, 35-Ton and 3-Point Hitch. Parts for Dixon ZTR mowers are available through Hayward Distributing dealers throughout the midwest. Visit our dealer locator to find a dealer near you. DuraVent has become recognized as the technological leader of Gas Vent and Chimney products. The products are all American made and are continuously developed and improved to meet the demands of today's heating products market. A breakthrough in every way, EGO is powered by a 56-Volt Lithium-Ion battery. This means the entire POWER+ line—the mower, blower, string trimmer, hedge trimmer, chain saw, snow thrower and backpack blower have been designed to deliver a new level of performance. Plus, EGO lasts longer. Charges in just 30 minutes. Is intuitive, quiet and dependable. It provides all the power you need to get the job done right. E-Z Trench® has been making mini trenchers since 1982. Quality built equipment made in the U.S.A, constructed with quality materials and built to perform for years of service. Quality Equipment, Quality Results is their new slogan and that's what they want to provide you. Hargrove Hearth Products offers a full range of handcrafted vented logs available in natural gas or liquid propane configurations. As North America’s top manufacturer of quality fireplace doors since 1956, Hearth Craft is your only source for quality and value. They combine old time craftsmanship with the finest materials and the latest production techniques to bring a distinctively designed fireplace door to their customers in an array of custom finishes and sizes. P-I-Y. Plow It Yourself. HomePlow by Meyer brings you a better way. The Home Plow is an easy-to-use, hardworking plow engineered for SUVs and light pickups. Honda is the world's largest manufacturer of engines and has earned a reputation for unsurpassed engine quality, performance and reliability. Honda has manufactured over 40 million power products worldwide and continues as a leader in the development of low-emission, fuel efficient, environmentally friendly 4-stroke engines for use in generators, water pumps, lawn mowers and other applications. Jonsered® is among the world’s leading manufacturers of machinery for work in the forest and at home. That design, feel and driving experience are the central components when they develop their chainsaws, brushcutters, trimmers and ride-on mowers. That safety, ergonomics, quality and performance have been their guiding words ever since they started in 1954. Creator of the Jungle Wheels, Jungle Jim offers a full line of innovative accessories for commercial lawn companies. 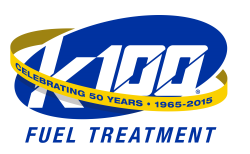 K100 is a revolutionary fuel treatment that not only eliminates water and condensation from your fuel system, it also cleans injectors and carburetors, disolves sludge and varnish from fuel lines, reduces emmissions, increases power and lubricates and stabilizes fuel systems. K100 will actually bind itself to water molecules in the gasoline and as the mower goes through its natural cycle the K100 and water will actually burn off. K100 makes water burn. Kinedyne began in 1968 to provide synthetic web tie-downs as an alternative to chains for securing cargo on flatbed trailers. From this beginning, Kinedyne has evolved into the world's leading provider of cargo control products for the transportation industry. For 85 years, Little Wonder’s grounds care, debris handling, and asphalt preparation equipment has stood up to the demands of customers. Offerings include blowers, vacuums, truck loaders, edgers, and trimmers. The original Looftlighter is a Swedish patented invention that lights your charcoal grill or fireplace with super-heated air in 60 seconds without lighter fluid. It can also "fast-forward" your charcoal or briquettes and make it possible to start cooking in just a couple of minutes. Louisiana Grills offers a large variety of top-line wood pellet barbecues, including the LG series, Country Smoker series and Kamado series. The Mantis Tiller/Cultivator is the incredible lightweight tiller that has made gardening easier for more than a million people. It is lightweight but powerful with unique patented serpentine tines that turn soil into a fine texture ready for planting. For over 80 years, Meyer has been a leader in snow and ice control. Meyer offers the most complete line of rugged and reliable snowplows in the industry. Designs and manufactures innovative outdoor gas barbecue grills, accessories, and gas lighting fixtures. Products are built to be stylish and functional in any outdoor space. The world leader in spark plugs, NGK manufactures spark plugs for virtually every automobile, motorcycle, marine and small engine application. Prizelawn® spreaders are designed, engineered, manufactured and distributed at Earthway's 200,000 sq. ft. facility in Bristol, IN. They feature the Honda-powered PS200, ride on hydrostatic spreader capable of treating an acre in 8 minutes. They also offer a full line of walk behind spreaders to fit every need, from the golf course to the front lawn. ProFire Grills are made in the U.S.A. and the beauty goes far beyond their appearance. Each ProFire grill is precision engineered and constructed of quality materials. The result is a wide selection of grills that offer long-term performance and a lifetime of reliable use. RedMax's suite of blowers, trimmers, chainsaws and other power equipment are innovative, durable, and feature packed. With their patented Strato-Charged engine design and technology, RedMax is able to deliver maximum performance in a light, rugged, environmentally friendly design. Rhino Gas Powered Drivers are powerful and can drive posts in seconds. Weighing only 35 to 44 pounds, it is easily transported and operated by one person. Drivers are fast, safe, portable, and will increase productivity while reducing costs! Four models are available. Rhino Hand Held Hydraulics combine updated tool design, high impact performance, and minimal maintenance, creating a superior brand of professional hydraulic tools. The benefits of hydraulic tools are numerous. Impressive striking power against a wide range of materials makes hydraulic tools an adaptable resource for a variety of tasks. Rhino's Hydraulic tools include: Power Packs, Post Drivers, Submersible Pumps, Breakers and a Cut-off Saw, Core Drill and Chipping Hammer. Customers who recognize quality, performance and value have made Ryan the leader in turf and lawn renovation equipment. Offers a full line of sod cutters, aerators, dethatchers, overseeders and other specialty products. With Selbro's Grass Catchers, one basket fits all. Selbro's patent pending bracket system allows one basket to fit on multiple mowers. All you have to do is install the bracket that is made for your mower. Handling 4.3 Cubic feet of grass, manufactured with a rugged steel construction and covered with a durable powder coated finish, these catchers are made to last. Selbro Sulkies are manufactured from heavy gauge steel and manufactured to meet the rugged demands of the commercial user. The O.E.M. Bracket System eliminates drilling on your machine. Brackets are specifically designed to fit your mower. With the rugged construction, a powder coated finish, replaceable bushings and an easy hang storage, Selbro Sulkies are designed with the user in mind. Spyker Spreaders come standard with Accu-Way for precise spread pattern control, durable metal gear system with Lifetime Warranty, and the Spyker Dial with 99 degrees of adjustability to save you time and money. Offering push, tow, electric, and ride-on spreaders, there is a Spyker product for every commercial lawn care application. Tsumura chainsaw bars are manufactured and assembled on advanced technology machines and equipment to provide high standard of durability, strength, finish and accuracy in the heat treatment process. Tsumura chainsaw guide bars also incorporate uniform groove gauge tolerances for a precise chain fit and improved cutting stability over the bar nose. The sprocket noses are made of quality material and carefully heat treated and the roller bearings are the best available. Wright began producing accessories for the professional landscaping market in 1983. Their Grass Gobblers and Velke Sulkies are made to fit on most professional brands of mowers.